Before discussing how to find niche related long tail keywords, I will first explain what a keyword is? Before I explain the benefits of long tail keywords, first we need to know what is the difference between long tail and short tail keywords. Long tail keywords are usually made up of 3-5 words or even longer. They target a specific audience. Why Long Tail Keywords Are Important? If you wanted to create a site on any topic you like and want to monetize it, you know there are other hundreds of pages on the same topic, and without proper keyword research, it is not possible to bring your site on the 1st page of search engines. So, we should search for keywords that are seeking by the large audience, but competition on these keywords are very low. Fewer competition keywords that are receiving good traffic are SEO ready. If you can find them, you can easily rank your site on search engines simply by creating some good quality content related to that keyword. Based on the my research, long tail keywords are the only keywords that can rank you fast otherwise it take you years and even big investments to rank for short keywords that are highly competitive. Even you shouldn’t expect to find low competition short tail keywords nowadays. As mentioned above, it is better to target “Make Money Online with Affiliate Marketing” than “Make Money.” Because if you target short tail keywords they are very competitive and it is very difficult for you to rank your site on those keywords. You will get less traffic and the traffic actually not convert into money because it is more probable that what you write about is not their demand. But if you focus on long tail keywords, only those people will come to your site who are more specific like in our example they are willing to earn from affiliate marketing. So it leads to less work and a great number of conversions. As an advertiser it can also benefits you. 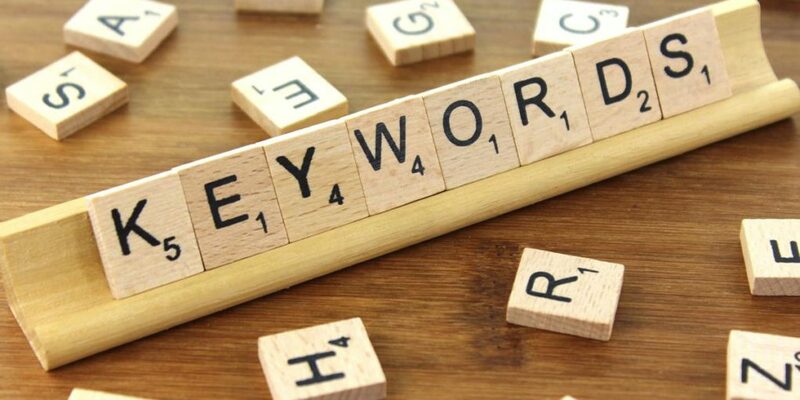 If you wanted to use Google adwords platform and wanted to promote your product by targeting your ad to these long tail keywords, your ad will only be displayed when someone types your targeted keyword and it is likely to be a lot more relevant to what people are actually searching for against searches with a more generic term. This will help you to put more focus on these fit buyers, which will enhance conversion rates, as well as possibly lower your costs and increase your Return on Investment (ROI). A long tail keyword is less popular than short keyword. Due to their low search by people, big brands generally don’t target them and it leaves an opportunity for people like us to get the most out of it. With respect to PPC, even fewer advertisers will be competing for them. The fewer advertisers are bidding on your keyword, mean a higher potential for people searching for that keyword and click on your ad and finally make a purchase. Because competition on those keywords is low so there are more chances that you rank your site on that keyword quickly. But remember to choose a keyword that is getting some traffic. Even some of the keywords would get ranked if you write well optimize article and for some of the articles, you need few good backlinks. If you don’t do that you can could hire companies that specialize in SEO services. You have heard about PPC (Pay Per Click) program where the advertiser only pays if a web user clicks on their ad. You can pay to Google for showing your ad when someone searches that keyword. Less competition means usually fewer competitors are bidding for a particular keyword or phrase. This preferably keeps average cost-per-clicks lower than what you might spend on short tail keywords. There are many keyword research tools available in the market, and I have used few of them, but the tool I like most is Jaaxy. 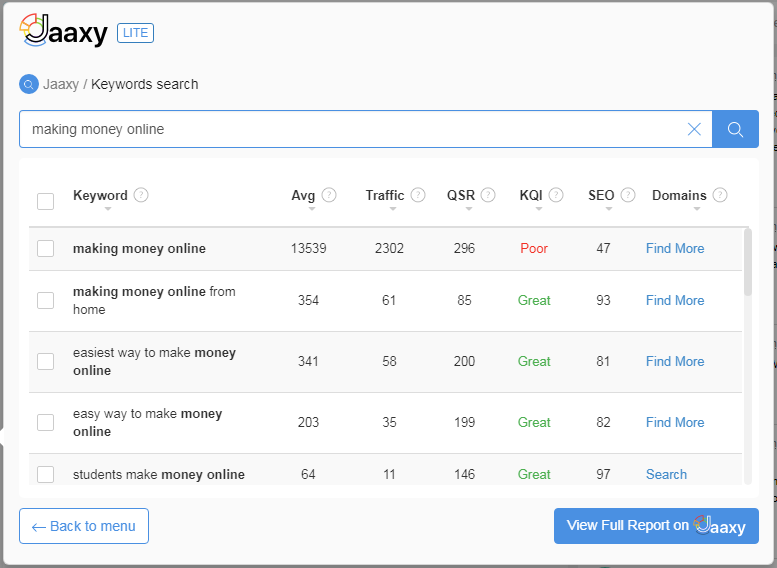 I can simply say that Jaaxy is the best keyword research tool for SEO and it can easily find profitable long tail keywords in seconds. You can read more about Jaxxy and how to find long tail keywords in this Jaaxy review. 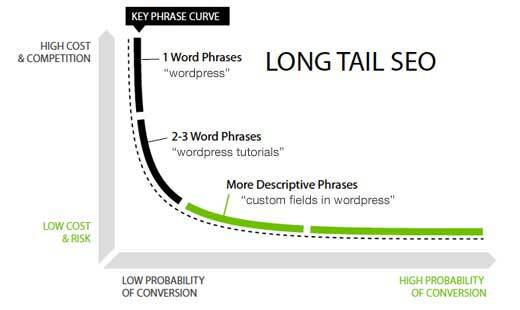 Indeed long tail keywords have many advantages. If you wanted to find long tail keywords so you can avail above benefits. Before selecting keywords, one needs to find a niche. Choose a niche that you are interested in. Visit website www.amazon.com or www.clickbank.com. There you find different categories. Each category has further subcategories. From there you can find a niche in your area of interest. You can choose Hand Games as niche or Video Games etc. After choosing niche now it’s time to choose keywords for your niche. First why I called niche because you know a large number of people searching on a search engine and want to earn from online platforms. Now see how many people are searching on this topic and how much content are available on the internet. Stats have shown that a large number of people are searching this and lot of content is available on the internet, means competition is very high. Now you have seen that an average number of searches per months were 13,539. Its lot of searches but this is not enough if we look at QSR (competition) which is high as 296 (above 200), and KQI shows red signal means keyword is not good. It means we have to work very hard to rank this keyword. So, instead of this keyword, we are looking for some low hanging fruit like “making money online from home” or “easy way to make money online” these are two keywords that we can choose or may further go deeper and further search on these keywords and select other keywords. That’s how you can select keywords. Select the keywords that have more than 50 searches and less than 200 QSR (competition) and are related to your niche. You should target at least one keyword for each your post. After selecting keywords, you need to write an article for your post in which you will mention your keywords especially in heading and first paragraph and then write naturally. Repeating keywords, again and again, will hurt your rankings. Post quality content regularly and your site will rank very quickly. Stephen Floyd Bullet Proof SEO Review – Does it Work?